A native from Colombia, María Paula Correa spent over nine years working for the Government of Colombia, first as Advisor to the Chief of Staff of former President Álvaro Uribe Vélez. In this position, she was responsible for managing the daily agenda of the President by reviewing and assessing potential events in alignment with the government priorities and debriefing him prior to each one. From June 2009, she served as Communications, PR and Culture Consul for the General Consulate of Colombia in New York. As Senior Director of Strategic Engagement, she served as the lead advisor to the CEO, driving the overall strategy of the organization. She also managed Concordia’s engagement with all stakeholders, including the membership-based community and the Leadership Council, as well as overseeing all sponsorship opportunities. María Paula led Concordia’s initiatives in the Americas, including Summits held in Miami in 2016 and Bogotá in 2017. 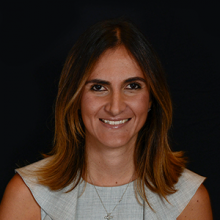 María Paula holds a Master’s in Public Administration and International Affairs with a concentration in International Political Economy from Columbia University. Additionally, she holds a Specialization in Public Policy and Strategic Political Communications and a Bachelor’s Degree in Law, both from Universidad de los Andes in Bogotá, Colombia.